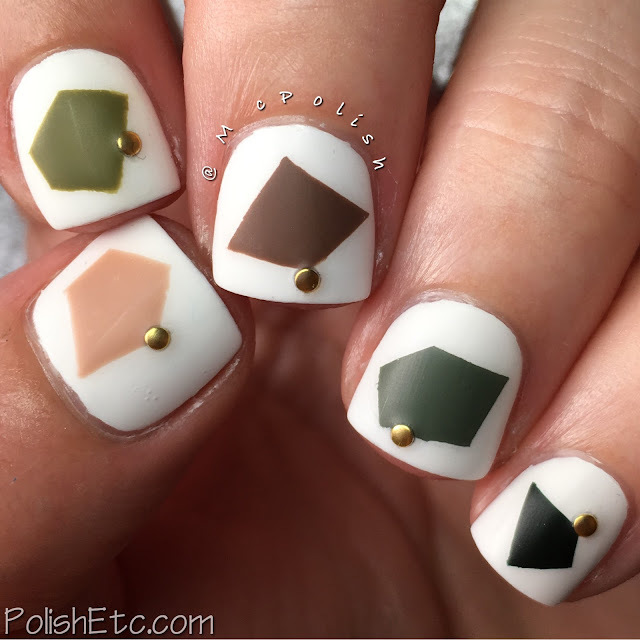 Inspired by a Tutorial for the #31DC2017Weekly - Polish Etc. 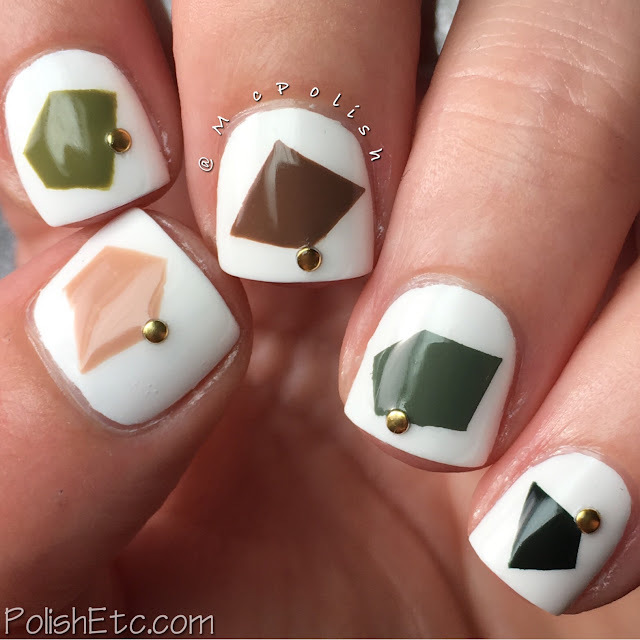 I started out with a white base using Catrice "Milky Bay" then I taped off the geometric shapes using clear tape. I used 5 creme colors in greens and browns to fill in the shapes. With the polished still wet, I carefully removed the tape to get the most crisp line. I applied the small gold stud and then applied a glossy top coat to everything. The polishes I used for the geometric shapes are mostly from P2 Cosmetics. Here they are from thumb to pinkie: P2 "My Dear", P2 "Leaf Horder", P2 "Movie Nut", P2 "Clue Mapper", Anny "Women for President!". And of course I had to try it with a matte top coat like Marie did. I love it mattified! 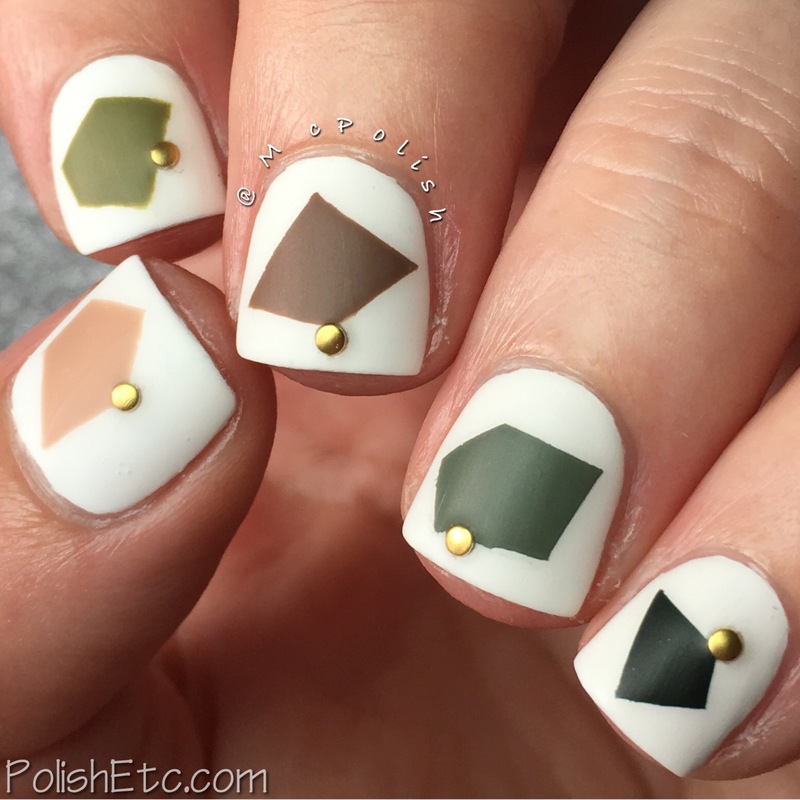 Isn't this manicure just so fun for fall? You could use this for anytime of the year with any combination of colors. I really love how it turned out. 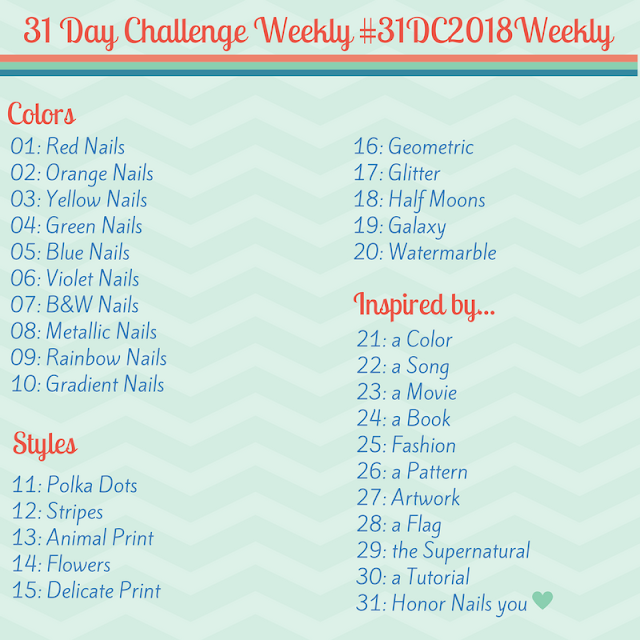 Be sure to check out all of the other ladies that have been participating in the challenge all these weeks by scoping out the tag #31DC2017Weekly tag on Instagram, Facebook and Twitter. Also, be sure you check out Lotte's posts. She has been right on schedule this whole time and is freaking awesome. So just visit her because she is awesome. I love this. 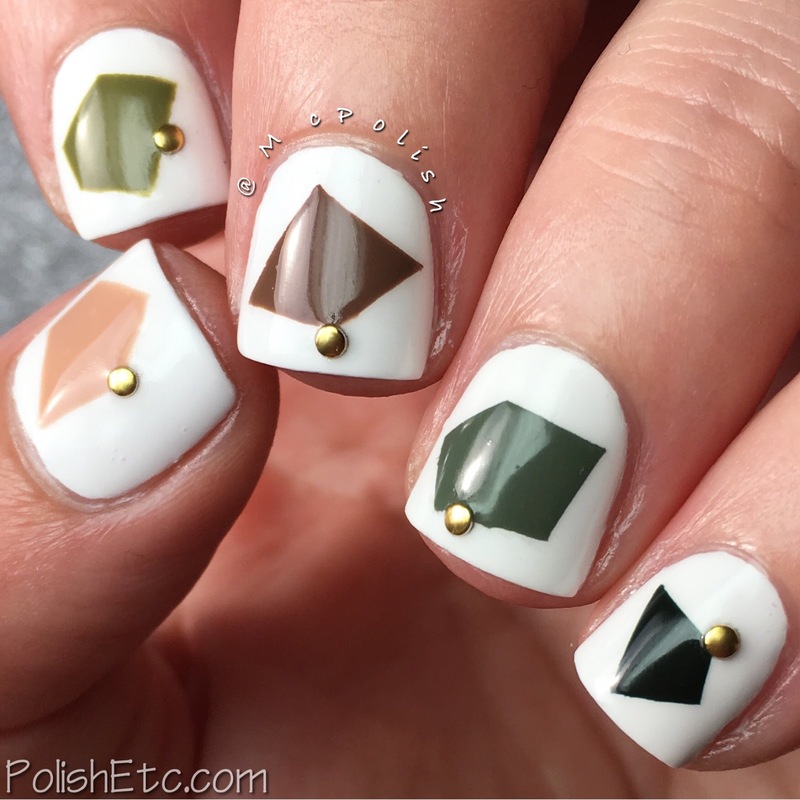 The colors, the pattern, the little gold stud accents.